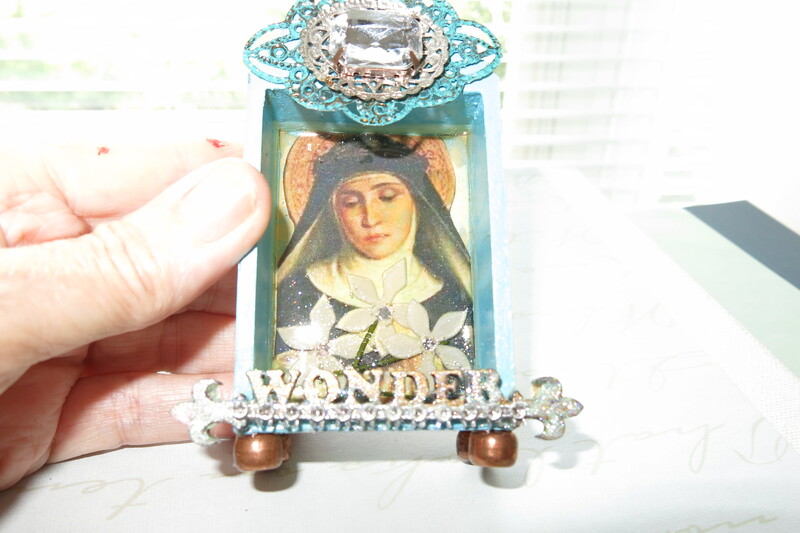 A handmade Altar Box made by me using an image of Saint Theresa. I created this altar using paints, papers, a small box, vintage beads for feet of the box, rhinestones, rhinestone tape, gloss, and lots of love. She would be perfect as a gift or for your personal shrine area.